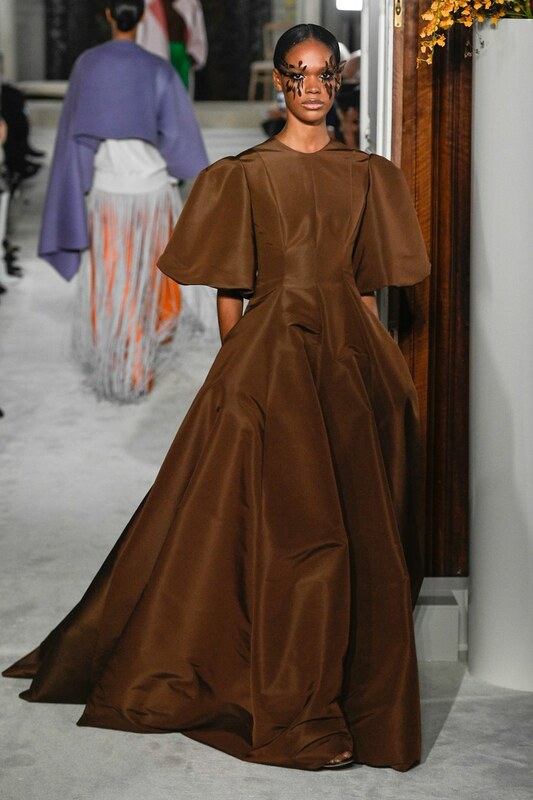 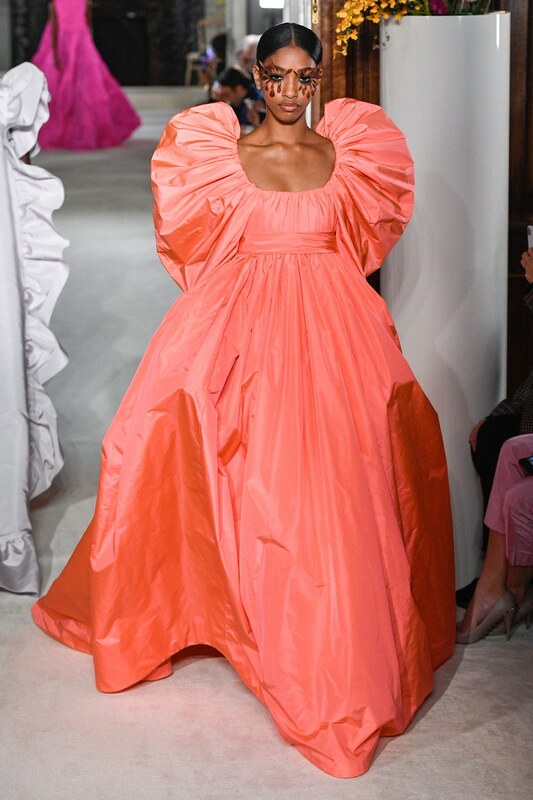 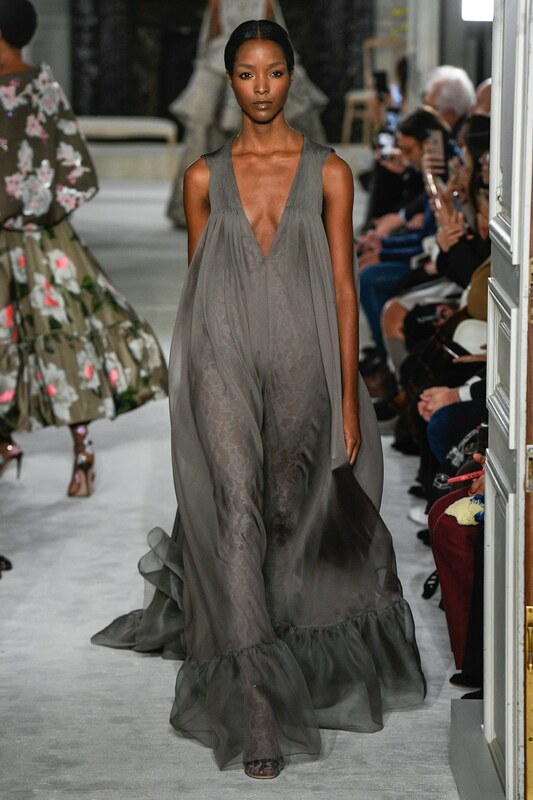 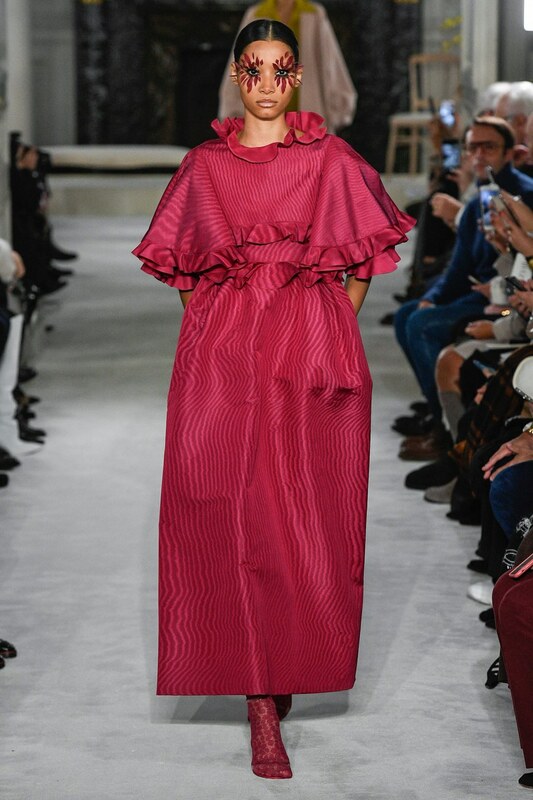 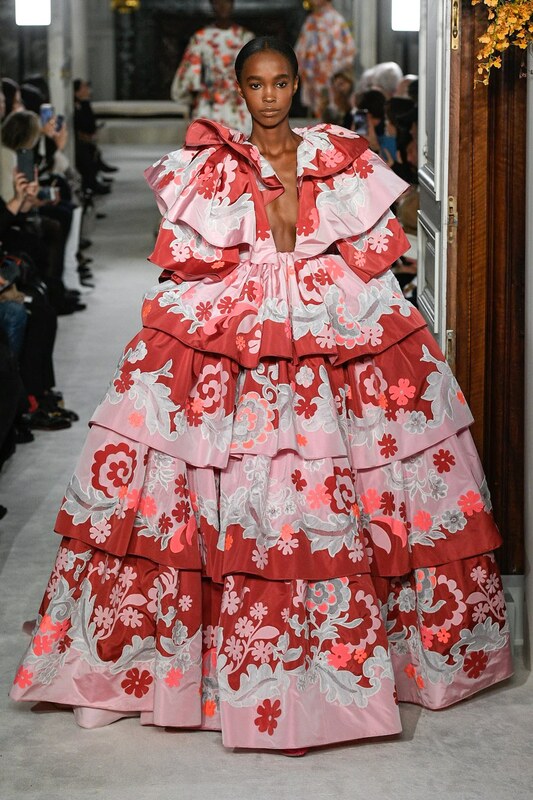 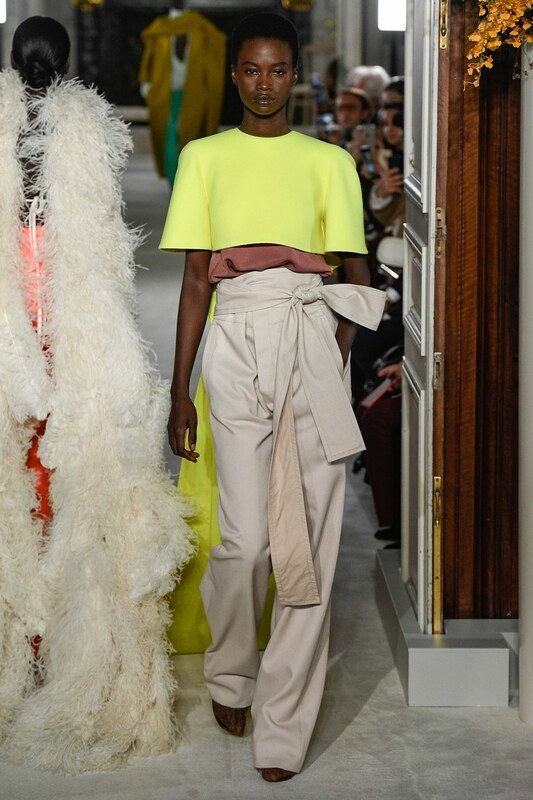 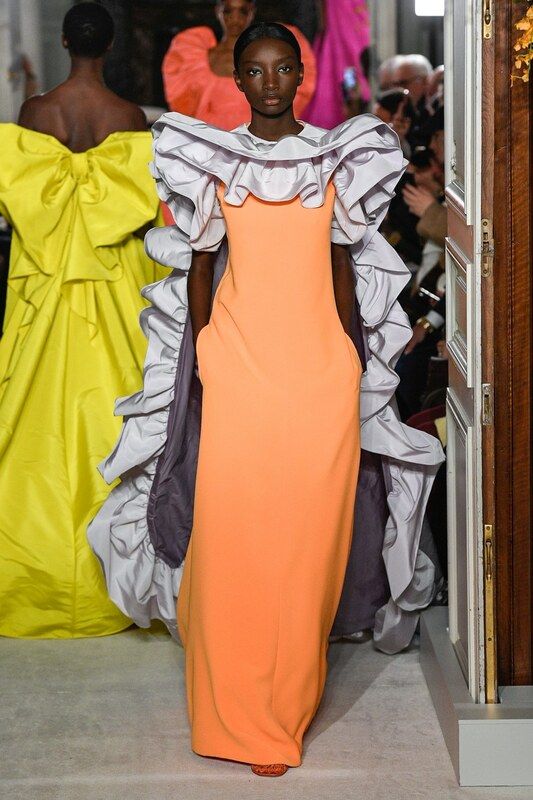 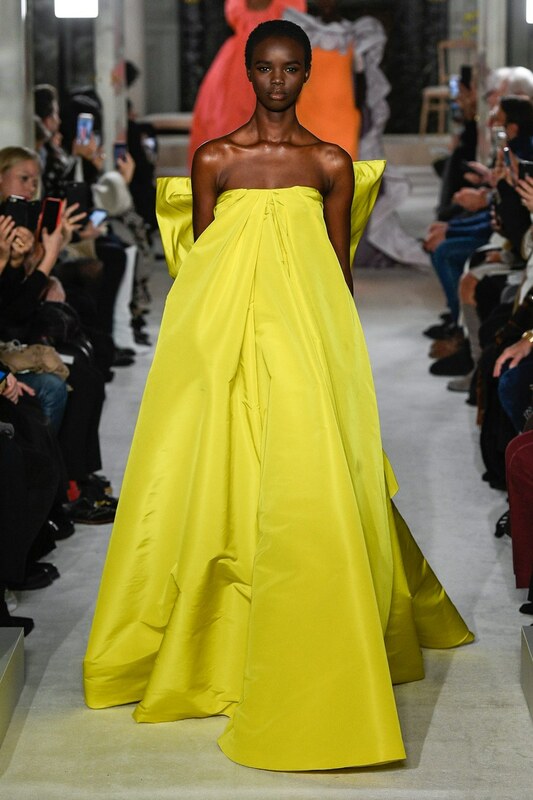 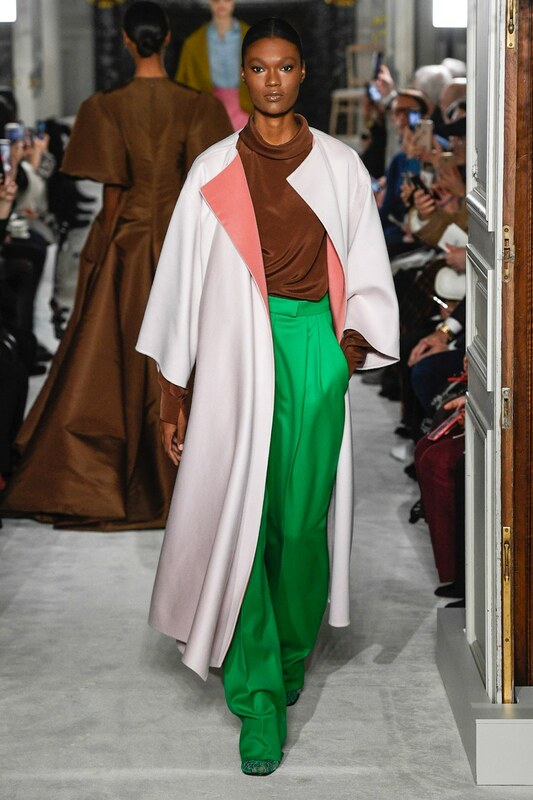 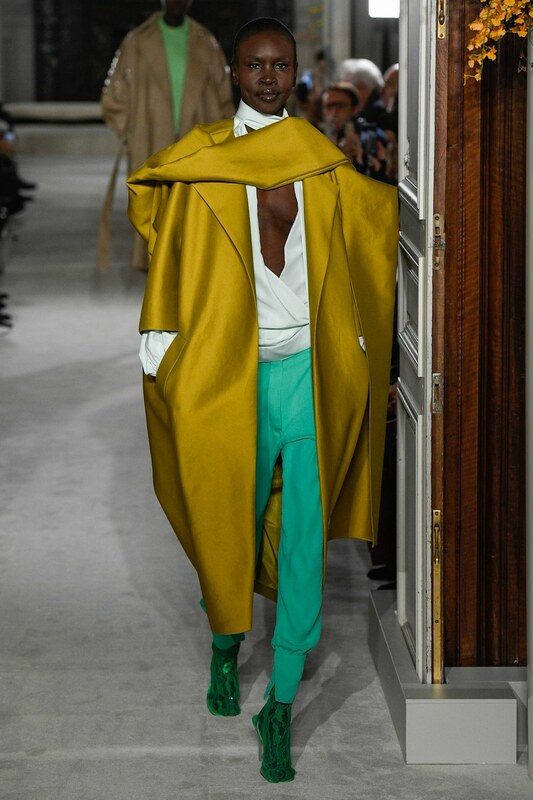 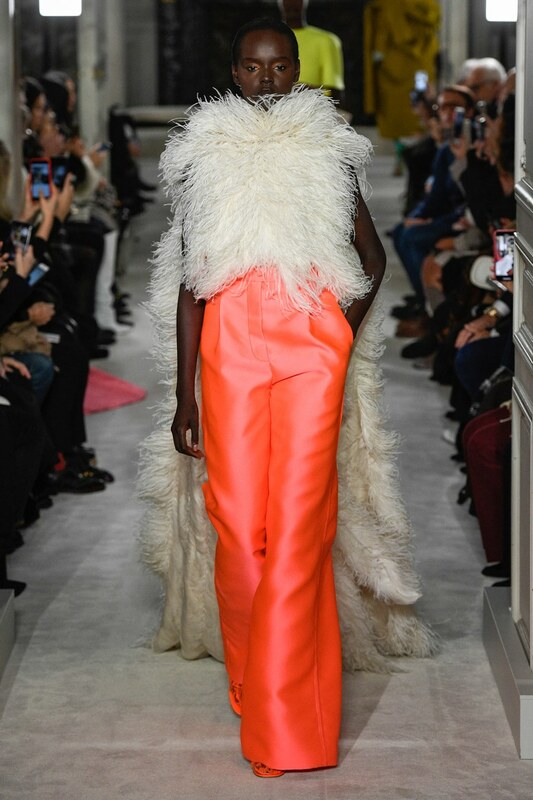 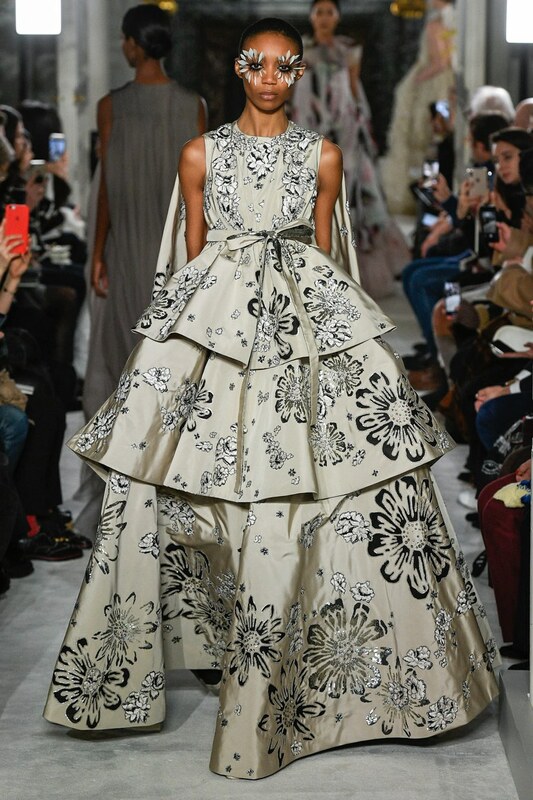 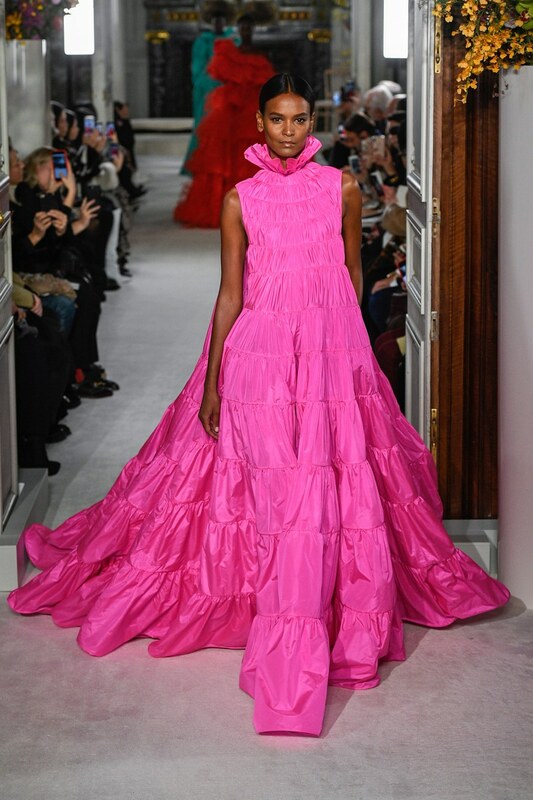 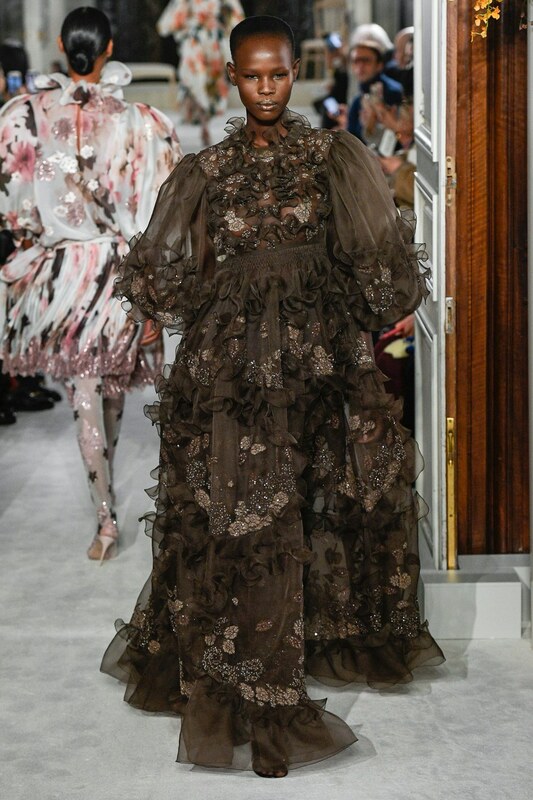 With a cast of mostly black models, Valentino released its Spring 2019 Couture collection at the Hôtel Salomon de Rothschild for Paris Haute Couture Week. 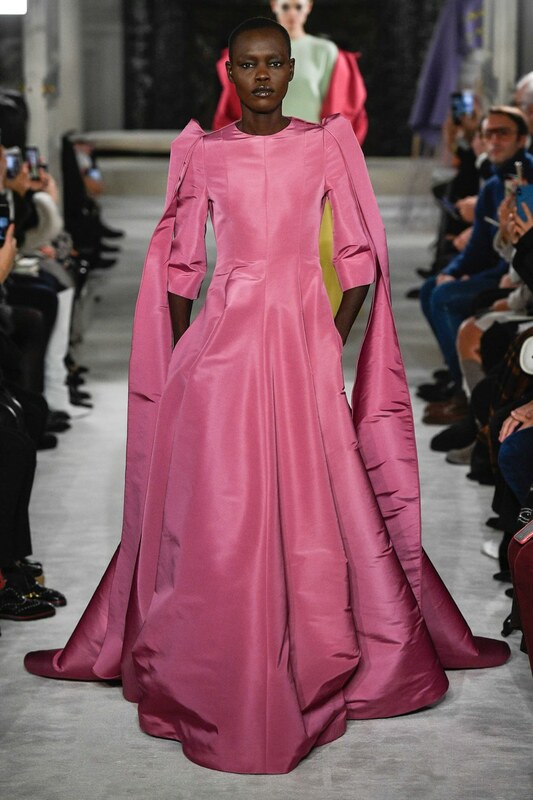 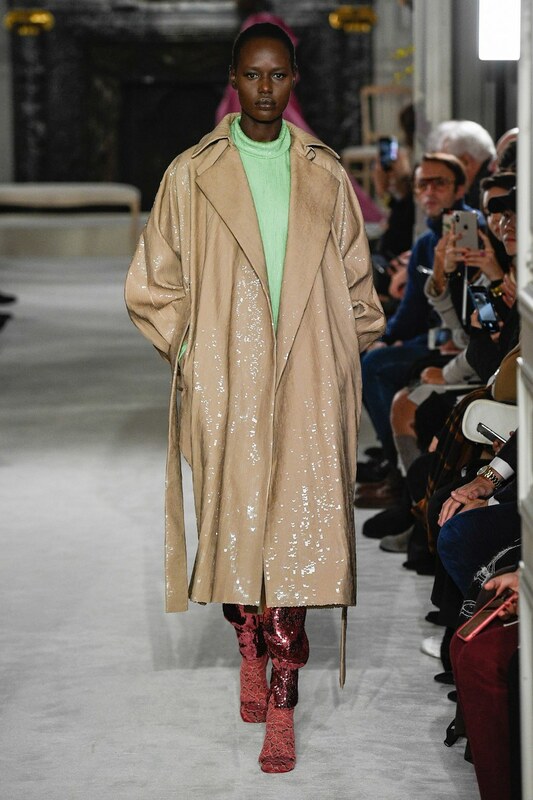 The collection which merged fantasy and reality had a top model cast that included the likes of Nigeria’s Mayowa Nicholas, South Sudanese-Australia’s Adut Akech, Australia’s Duckie Thot, Ethiopia’s Liya Kebede, South Sudanese’s Nyaueth Riam, and British Supermodel Naomi Campbell among others. 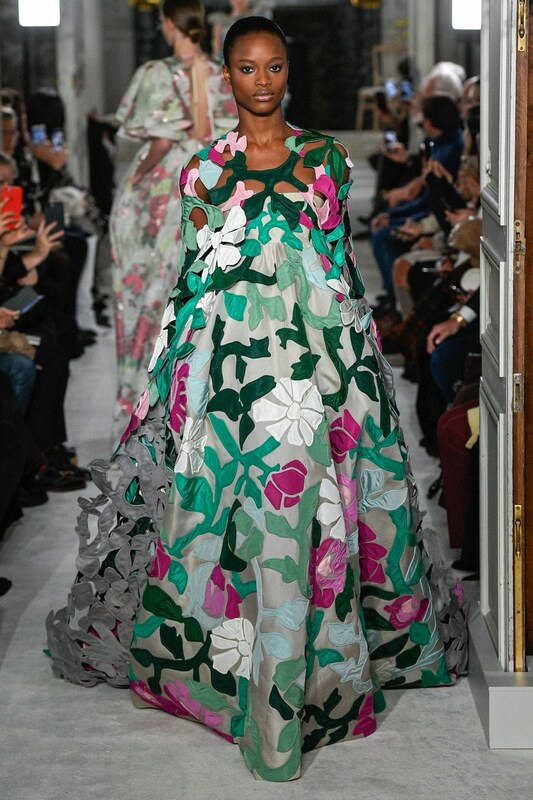 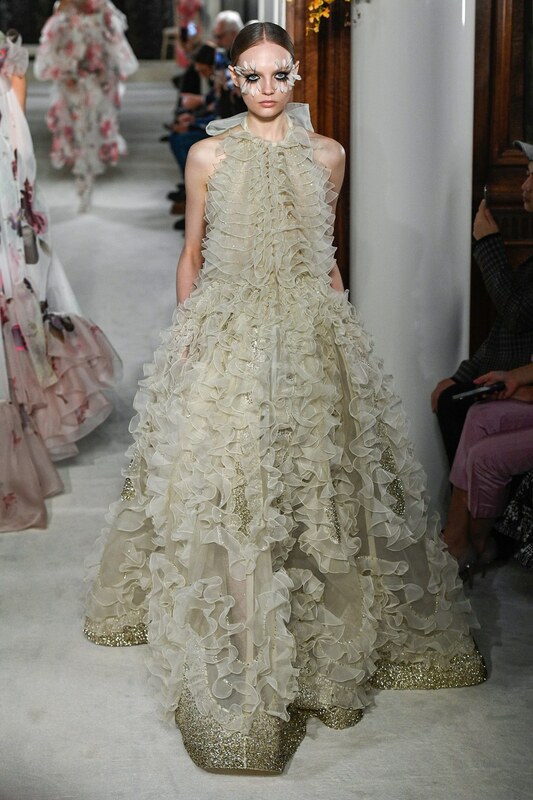 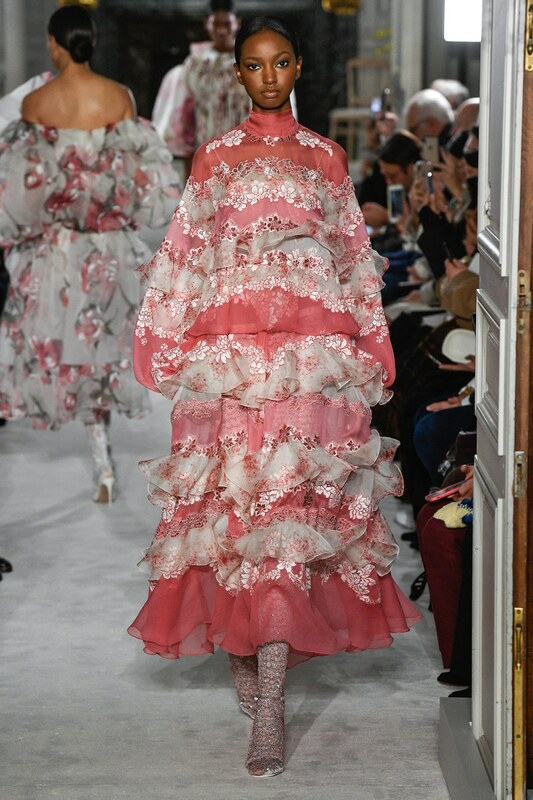 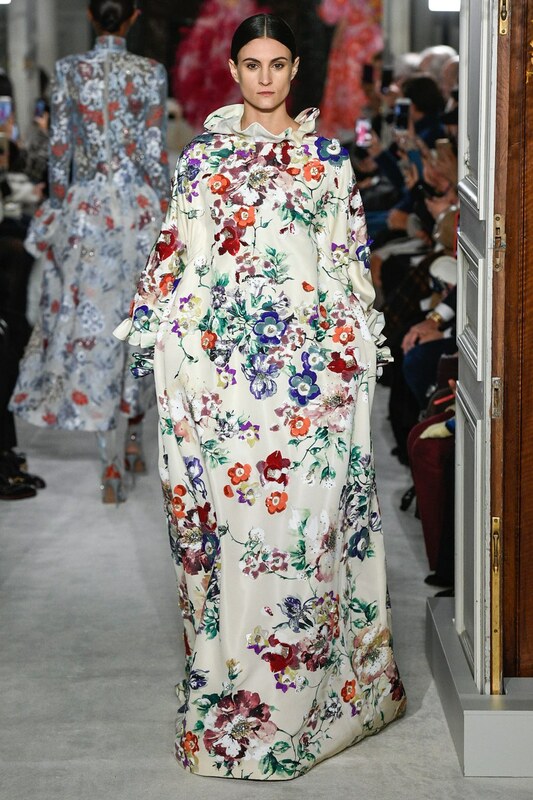 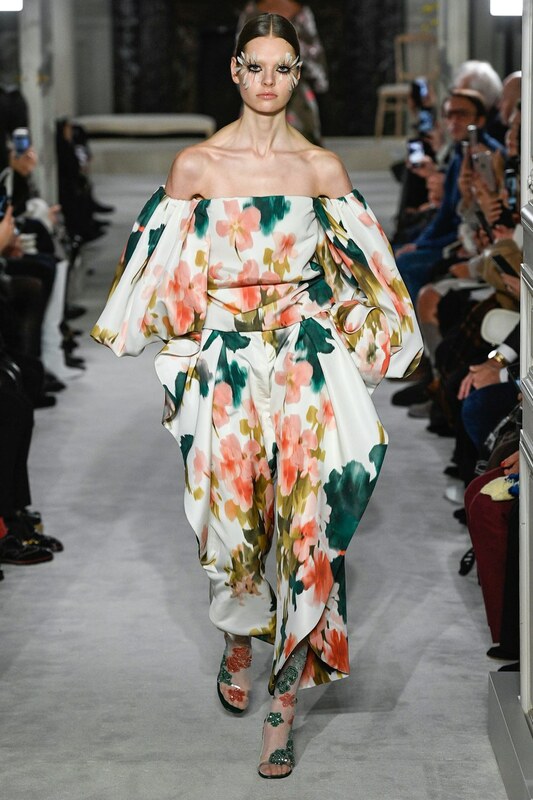 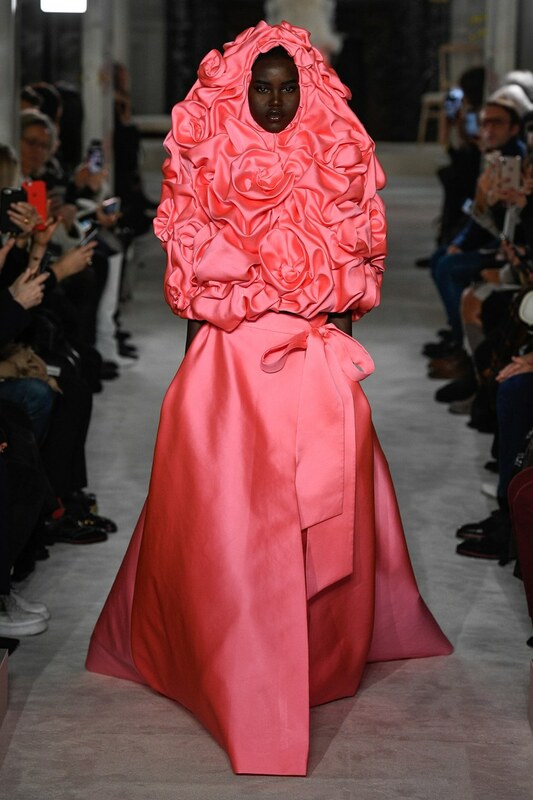 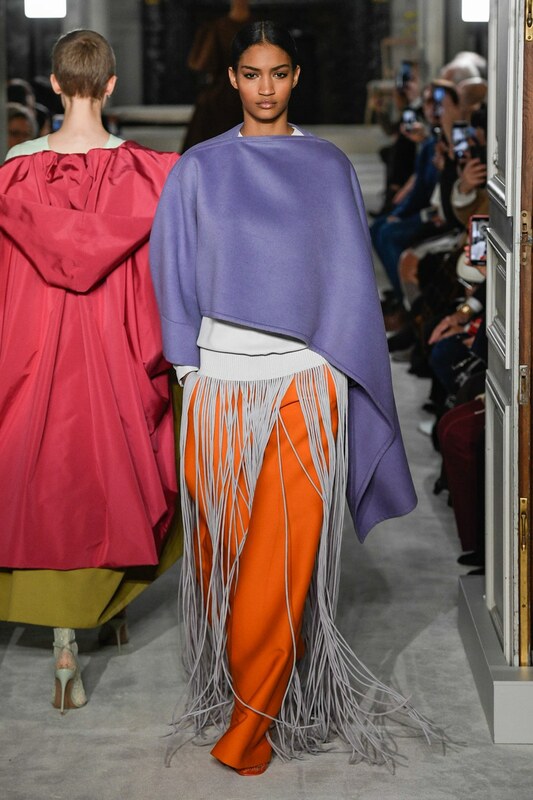 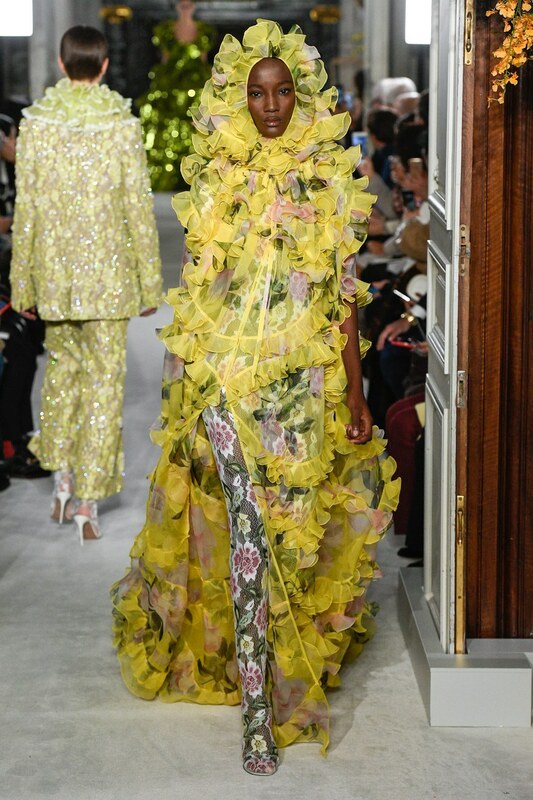 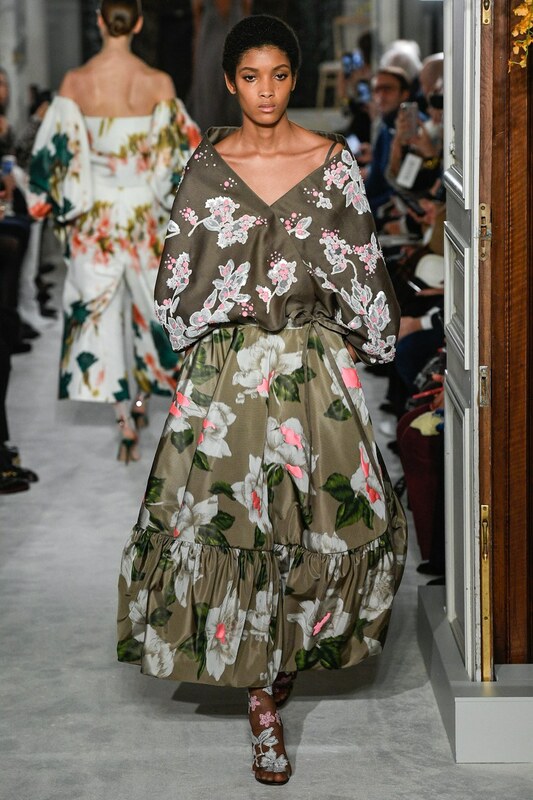 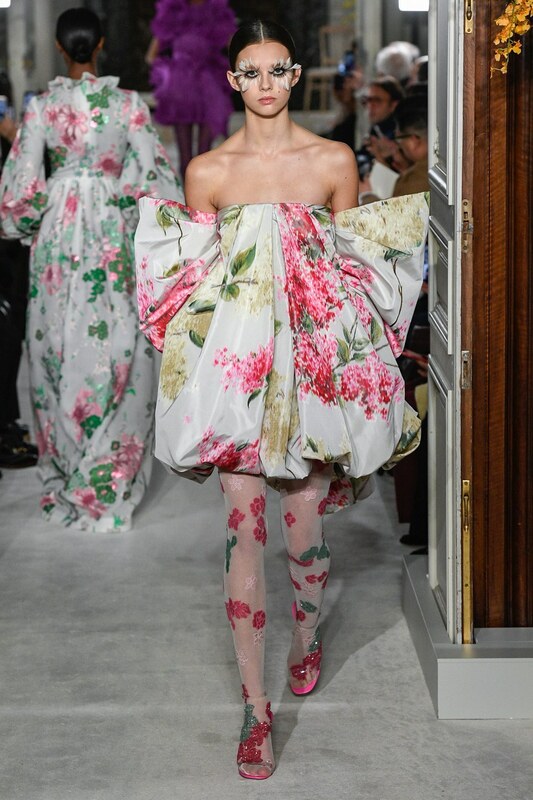 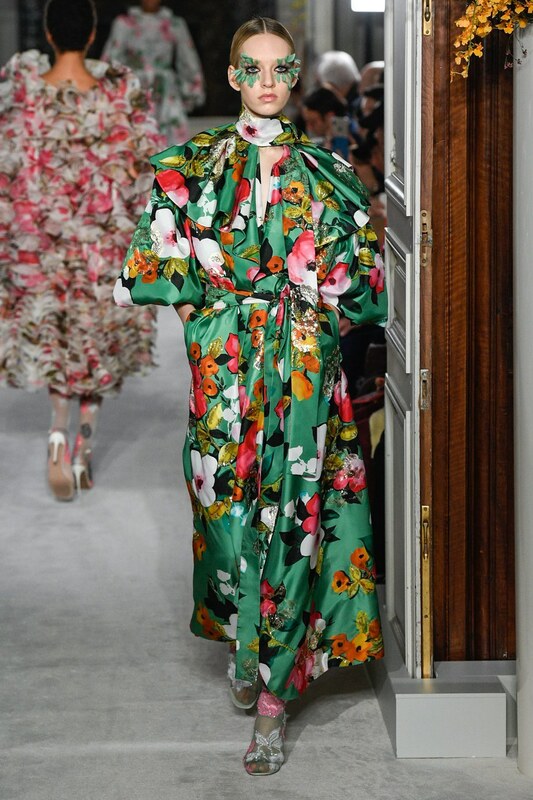 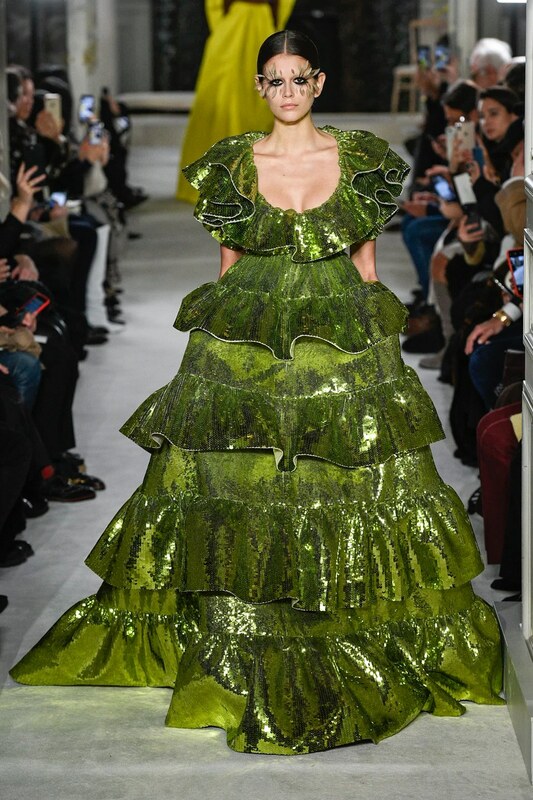 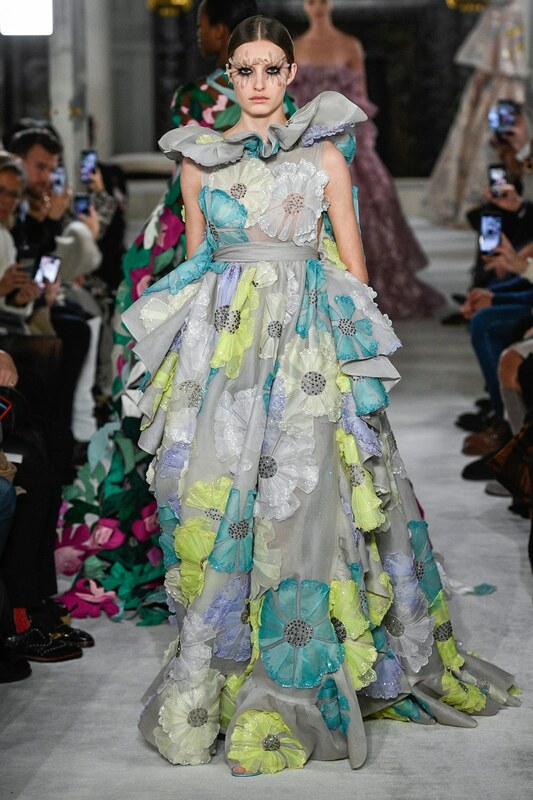 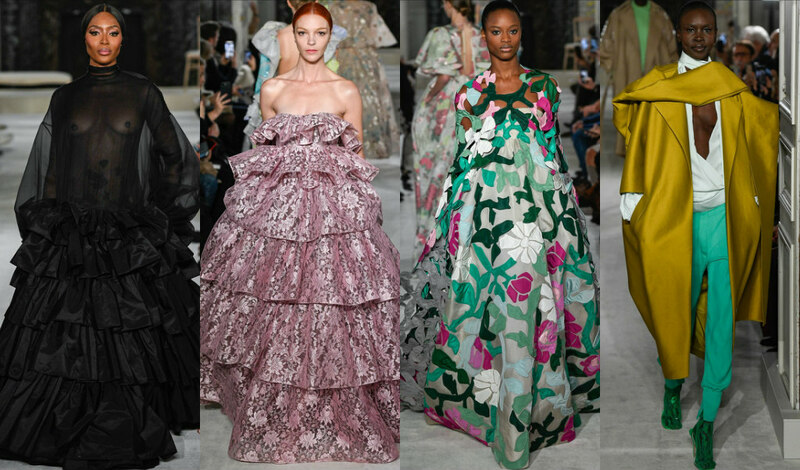 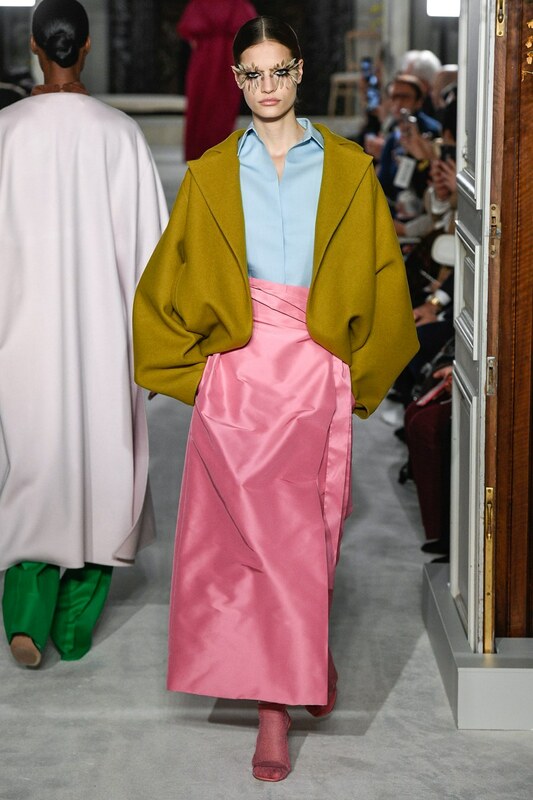 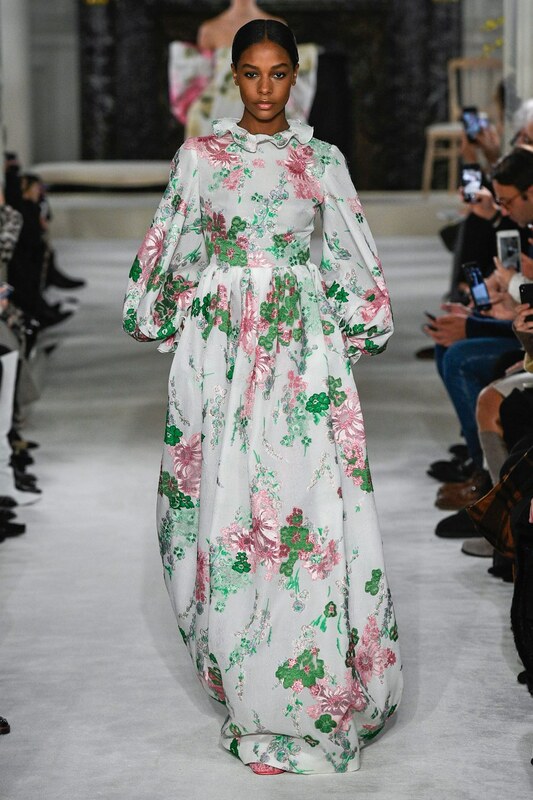 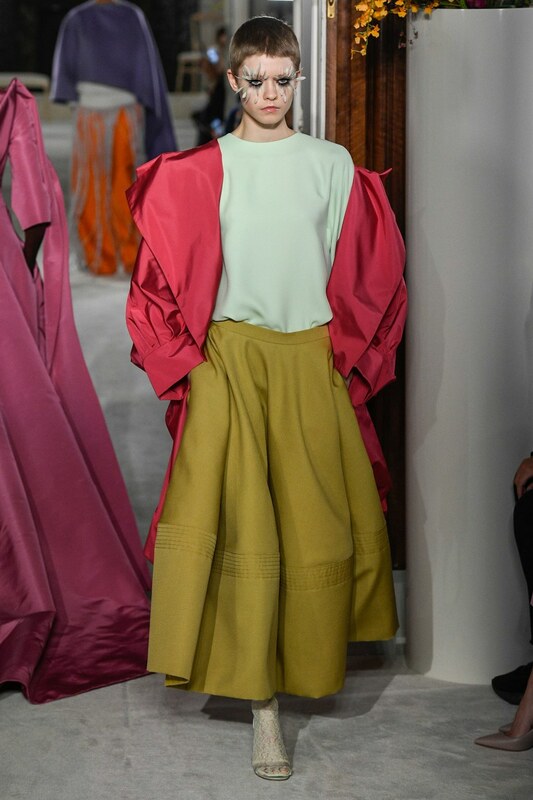 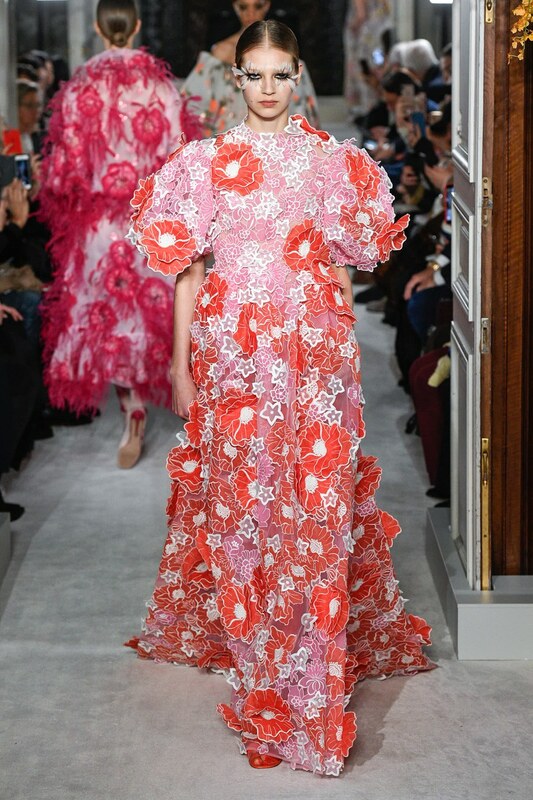 Valentino’s Spring 2019 couture collection sees the brand’s creative director Pierpaolo Piccioli bring in a spring vibe with lots of florals and vibrant hues. 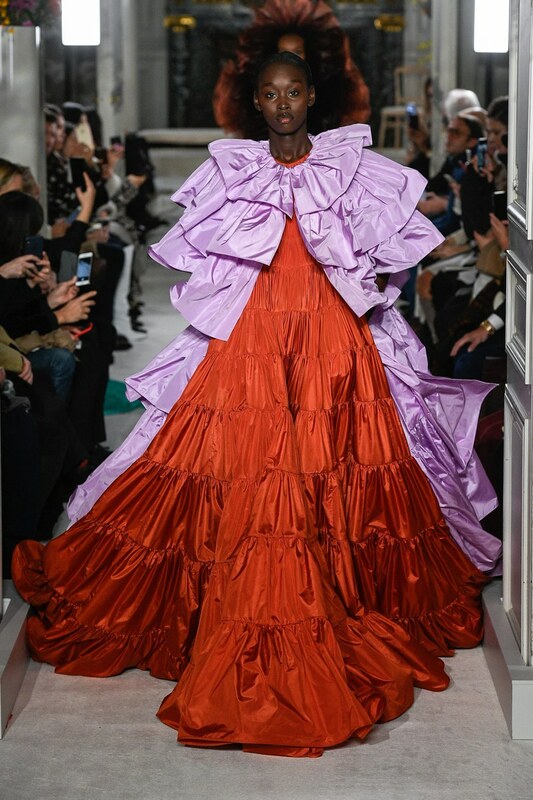 The collection also featured dramatic silhouettes, bold monotone colours, heavy floral prints and embroideries, ruffles and more ruffles, bright satin pants, feathery capes, tiered gowns, voluminous sleeves, sequins, sheers and experimental versions of ballroom gowns. 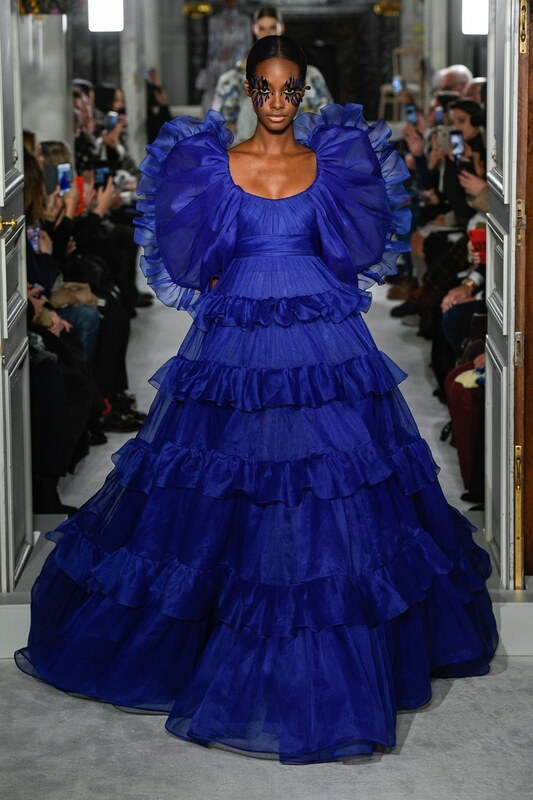 To close the show, Naomi Campbell who had not walked for the brand in almost 14 years glided down wearing the “Iris Germanica Superstition,” – a name Piccioli’s atelier staff gave to her black taffeta organza dress with Volant, lace and tulle combinations.